RACQ’s 2018 profits of $64.4 million should make them back off from their scaremongering calls to change Queensland’s CTP scheme by reducing payouts to motor vehicle injury victims. Brisbane injury compensation law specialist, Trent Johnson, says news that RACQ’s profits have jumped from $26.7 million in 2017 to $64.4 million for 2018 is solid proof that Queensland’s CTP scheme does not need any change. Last year the insurance industry, with RACQ to the fore, ran a campaign blaming lawyers for a spike in Queensland Compulsory Third Party insurance claims. Trent Johnson, a Director with Bennett & Philp Lawyers, says the RACQ profit result shows the organisation is clearly making a tidy income from its services, which include significant CTP insurance premiums. However, despite recent, unfounded media reports claiming Queensland’s CTP scheme is arguably the worst in the country, the latest report for FYE 2018 from the Motor Accident Insurance Commission, which runs the Queensland CTP scheme, says otherwise. Insurance Commissioner, Neil Singleton, says Queensland road users continue to enjoy a strong and sustainable CTP insurance scheme. “In terms of key scheme metrics, CTP insurance premiums remained stable, the incidence of claims fraud identified by insurers remained very low and market research surveys showed that motorists and claimants are satisfied with the scheme – overall, it is a positive story”, he reported. Trent says this shows the scheme is in good financial health with Queensland again having almost the cheapest CTP insurance (which forms a large portion of Queensland vehicle registration fees) in the country but, as in the past, Queensland CTP insurers are using media pressure to white ant the scheme. “It’s ironic because the CTP insurers conveniently disregard the independent review of the Queensland compulsory third-party insurance scheme delivered to the Motor Accident Insurance Commission in December 2016, which expressed concerns over the high level of profits consistently being made by the Queensland CTP insurers”, he says. Trent says whilst Queensland CTP insurers have every right to make a profit, they should not be allowed to continue profiteering from the scheme whilst simultaneously calling for measures such as guaranteed defined benefits to further increase their profits and decrease damages paid to injured claimants. The practice of interstate ‘claims farmers’ preying on Queenslanders also remains a contentious issue. It’s believed that interstate law firms convincing motorists involved in minor bingles to chase payouts through the courts are behind a surge in CTP claims for minor injuries. Interstate law firms are not bound by the caps on the sums Queensland lawyers can charge for fees to pursue such smaller claims. 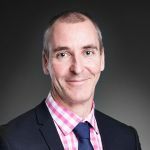 “So interstate lawyers are pursuing insurers, Queensland CTP insurers are still making significant profits and Queensland lawyers are unfairly copping the flak,” Trent says. The insurance industry is happy to take Queenslanders’ CTP premiums but fights claims and makes people jump through hoops for motor vehicle injury claims. “Insurance companies do not roll over with injury claims. Everything is a fight with them. RACQ’s CTP market share, premiums and profit result shows why they have this attitude” Trent says. For more information regarding Queensland’s Compulsory Third Party insurance scheme, view the Motor Accident Insurance Commission 2017-18 annual report here. Interpreting a Will: Description or Condition?